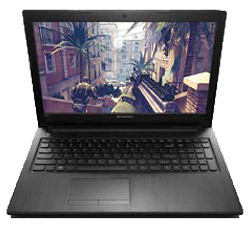 Lenovo G505 15.6 inch Office Use Laptop AMD A4-5000M Quad Core 6 GB RAM 1 TB HDD. The Lenovo G505 laptop boasts solid processing and multimedia features. While the powerful AMD A4-5000M processor ensures top performance, smart features like Energy Management protects the long-term durability of the battery and uses advanced energy-saving technology to increase time spent between charges. 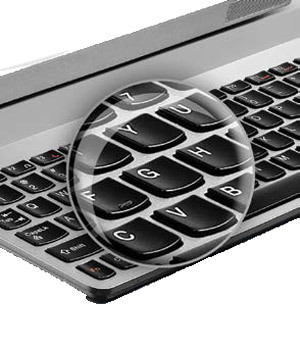 The G505 also features an AccuType keyboard, which allows comfortable, more accurate typing, HDMI output, ample storage and an integrated webcam -- making the laptop ideal for work and play. Enjoy your favourite films, games, apps and music with uncompromised quality thanks to the HD graphics support. The G505 comes with AMD Radeon Graphics for rich responsive multimedia and faster gaming on the 15.6 HD 16:9 widescreen display. 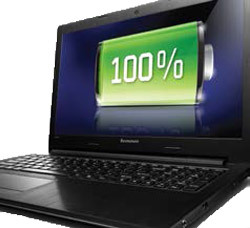 Get the most out of your laptop with the long-life battery -- the Lenovo G505 squeezes every last bit of juice out of its high-capacity battery, providing up to 4 hours of productive life between charges. The finger-friendly curved key shape and ergonomic spacebar of the AccuType keyboard will work together to make it easier to type and reduce the number of typos, wherever you find yourself working. You can also scroll easily between tabs and zoom in and out of images with the multi-touch touchpad. The ultra-portable design packs in powerful processors and responsive technology, yet only weighs 2.5kg (5.51Ibs) and is just 25.8mm at its thickest. 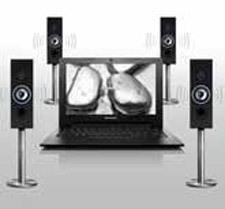 With the Dolby Advanced Audio v2 audio tools, you can experience riveting surround sound on your PC. Dolby Advanced Audio v2 enables your laptop to deliver a crisp, clear cinematic sound experience through the built-in stereo speakers. Play your music louder with less distortion and customise your PC audio settings. The Lenovo G505 comes with multiple wireless connection options. The built-in 802.11b/g/n Wi-Fi adapter will allow you to enjoy reliable connections to the internet, whether at home or on a public network, while Bluetooth 4.0 is available to make it easier to connect and share files with other devices. The Lenovo G505 features an AMD A4-5000M processor -- the ideal choice when high performance is required. Designed to work with Microsoft Windows 8, the Lenovo G505 is optimised for both work and play. All your favourite apps, sites and people can be accessed straight from the Start screen and you can use all your entertainment with a tap or click.